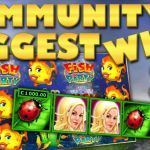 Today is the first Tuesday of March, therefore we have for you Casino Streamers Biggest Wins – Week 9 of 2018. This compilation will include the absolute best video slot wins, for the last week of February, from your favorite casino streamers. As per usual we have a small review for each particular big slot win to go along with every clip we feature. All the casino wins come from the 26th of February until the 4th of March 2018. Lastly, if you want to try any of these slot machines, you can play them, for real money, on any online casino on our trusted casino list. The youngest player on Casino Streamers Biggest Wins – Week 9 of 2018, Huggehugg won big on Book of Dead last week. While playing SEK 10 bets, he triggered the free spins with the “A” as the special expanding symbol. From the start it looked that the bonus was going to be a good one. So it was, and thanks to a full screen and multiple good hits, the total win was a big SEK 2550. As you all know this slot is available in almost any online casino, including Casino Room. There is definitely a spark between Nick and Big Time Gaming machines. These video slots seem to not wanting to stop paying our streamer. This time it was Danger High Voltage again giving Nick a spectacular win. 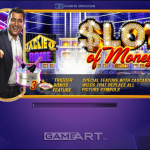 The slot streamer was playing £6 bets on casino calzone when he activated the free spins. Moreover Nick chose the Gates of Hell bonus feature, where he got the “10” as the special transforming symbol. Thus, thanks to it, the screen filled with sticky wilds which resulted in a super £1609 big win. Novomatic video slots have been lacking from our compilations lately. Therefore, this week, we have tow incredible wins on them. The first comes from Rex who got the bonus round on the original Dolphin`s Pearl slot machine. What you want in a game like this is the re-triggers, and our casino streamer got 1 of them while playing the game on Casumo. Hence his €2.7 bet, turned into a big €878 total win. Which do you like best?! This version, of Dolphin`s Pearl, or the Deluxe one. Finally Kim winning on his new favorite game. I’m talking about Reactoonz of course, which after taking so much from our streamer, decided to give some back. Specifically Kim was playing SEK 30 bets on LeoVegas, when he released the Gargatoon. Here it all depends on where the colossal wild will land, and lucky it did next to a number of premium symbols. Thus the total win was a mega SEK 23773. Let's hope LetsGiveItAspin can get more big wins like this, and clear off the bucket list, a Reactoonz max win. On my first try of the new Gem Rocks slot, I was able to get all the way to the 4x4 feature. It all happened while I was playing SEK 15 bets on Kaboo casino. This was one of the best moments of last month for me. More so, since the big win that followed, came after a long period of ripping on slots. Thus the SEK 9909 total win, took me back in profit land for this year. Let's hope the good run continuous. We end Casino Streamers Biggest Wins – Week 9 of 2018 with yet another Novomatic win. This time it was Jarttuslot with his unreal €20 bets, playing the Garden of Riches slot on OVO casino. This game has one of the best bonus rounds, in my opinion, thanks to the scatter which is also a wild and sticks on the free spins. Hence the Finish legend almost filled the whole screen with locked wilds for a total super mega win of €18040. Even though there is no re-trigger option on this bonus, we have to say Retrikarrriii. 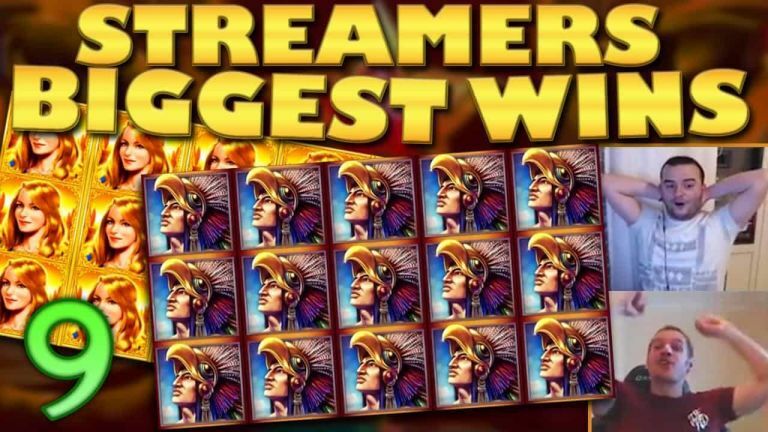 Tell us which win on Casino Streamers Biggest Wins – Week 9 of 2018 was your favorite. Share your thoughts in the comments. Also make sure to check our other videos on CasinoGround’s YouTube channel.